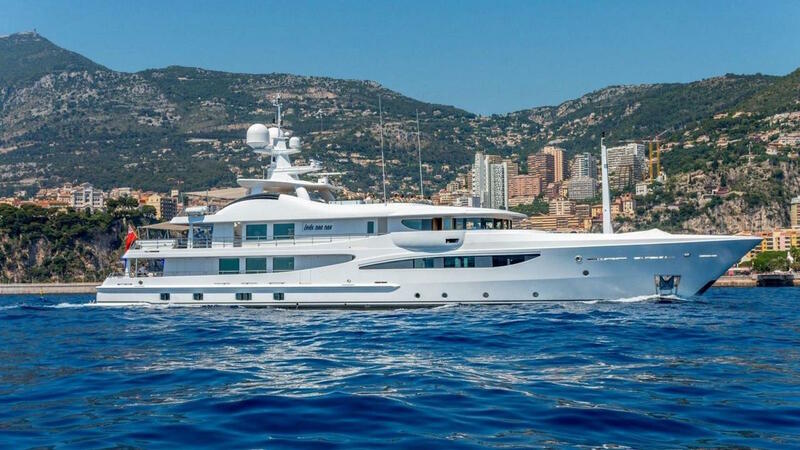 The fourth of the successful 171 Limited Edition range by Amels, Lady Nag Nag is a stunning yacht with exterior design by Tim Heywood and an elegant, modern interior by Laura Sessa Romboli. The yacht offers abundance of space throughout and is perfect for relaxing and entertaining. She features dining for twelve guests, huge sunbathing areas and a large, inviting jacuzzi. Her light and modern interior includes two elegant salons and luxurious accommodation for twelve guests in six staterooms. The owner’s suite, is full width and includes a study, large walk-in wardrobe and en suite.